Equipped with adjustable thermostat, which guarantees an optimal supply of chocolate, coffee, milk, tea, etc.. 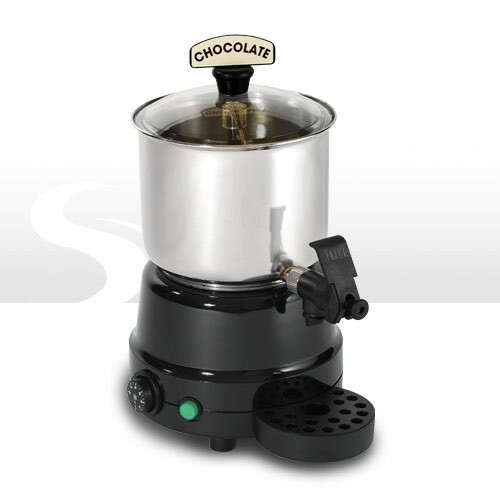 Hot Wonder heats and delivers all kinds of drinks which are served hot. 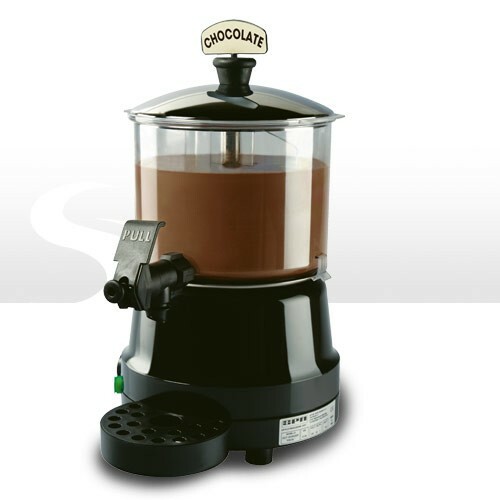 Particularly suitable for chocolate, coffee, milk, soup, tea, etc..
Its heating plate is provided with a patented double thermostat for a fair distribution of temperature, a system that prevents a possible roasting of products at the bottom of the container. Hot Wonder is available in two versions: Classic, with stainless steel container Visual and with a transparent container. In both versions, you can remove the container with the product inside. Its small size makes it easy to place in any room.